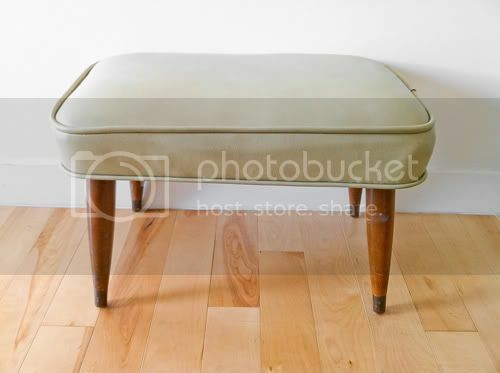 The piping on this ottoman is questionable but I was sold on the tapered legs and the lemongrass leather. I placed it in my entryway but I'm not entirely convinced. It definitely needs something. 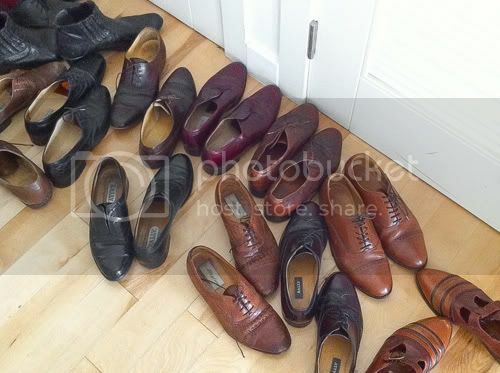 And the shoes are becoming problematic. I'm a little grossed out because they look like huge roaches. 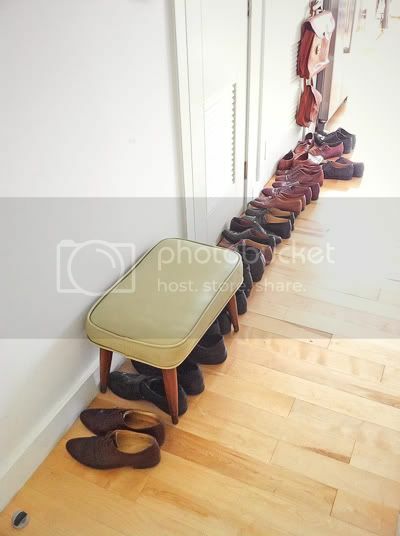 I desperately need a shoe rack or better yet, a shoe trap.